This entry was posted in Cultural Identity, History, Immigration, Kelleher, Nashwauk, Ships and tagged Australia, County Clare, Cultural Identity, Family History, Genealogy, Immigration, Irish Diaspora, Maritime History, Shipwreck, South Australia, Susan Kelleher, The ship "Nashwauk" by Catherine. Bookmark the permalink. Good news that it’s found it’s way back to SA (I for one was confident it would!). I hope they find a perfect spot for it. We heard the whole saga of the restoration and without a doubt it will have extended its life span significantly by its little excursion to the east. For all the tragedy involved at least there is something tangible to remember Susan’s emigration. Just thought, too…do you think Bridget may have returned to Ireland? not common but not entirely impossible either. Imagine it would have been a huge job to restore it. Twenty years ago I souvenired a few flakes, amongst the many, that had rusted off and were lying on the ground 😦 … So, THANKYOU, National Museum of Australia!!! mmmhhh… never thought about Bridget returning to Ireland…??? 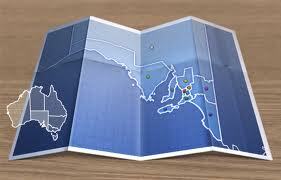 I should check other Oz states, rather than just NSW … and also ships from Australia. Remembering that the husband of one of our Habel immigrants took the children back to Prussia, after she died, and then they all emigrated to the USA. Thanks for always stimulating my thinking Pauline. Great to see all the interest in the Naswauk anchor and also to know that it may find a suitable final resting place. Could I add that as the Senior Curator of the National Museum’s ‘Not Just Ned’ exhibition that it was NEVER the intention of the museum to ‘disappear’ the anchor and that it was the Onkaparinga council who agreed to its short stay in Canberra. There it was, for the first time ever, properly assessed for conservation and much needed work carried out before it was put on display for a national audience to appreciate and understand how such a fantastic object could tell a big 19th century migration story. 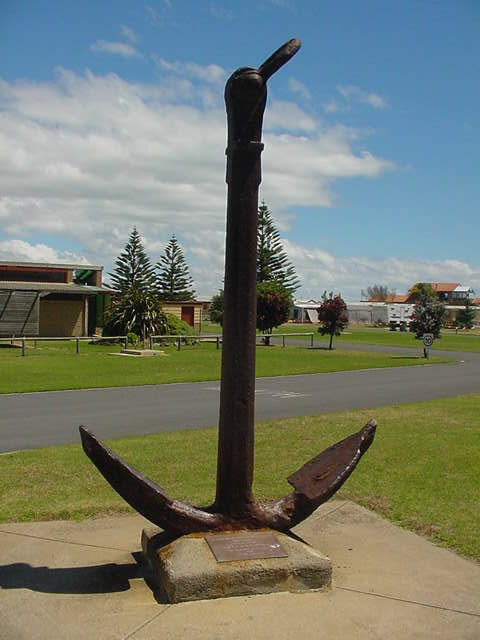 The museum was very grateful to the council for the foresight it showed in allowing the anchor to come to Canberra despite the completely unwarranted fears expressed above.that it might never return. A place like the National Museum of Australia is about helping all Australians, no matter where they live, to appreciate the Australian story, to borrow objects from around the country and the world to assist in that end, and to make sure they go back safely and in good condition to where they came from. Many thanks, Dr Reid, for bothering to read “my story” and for your comment. Special thanks indeed to you and your team for taking my/ our precious “Nashwauk Anchor” into your care and carrying out the much needed/ overdue restoration work. When I finally found it again, some twenty years ago, so sad and forlorn in the Caravan Park I picked up a few pieces that had rusted off and fallen to the ground and cried a little to think that eventually it would all just fall into a rusted heap. Me and mine will be forever grateful that the preservation work of the National Museum has prevented this. I’ve still yet to know the outcome of the Museum’s assessment of the Nashwauk Anchor. Would so much appreciate you pointing me in the right direction for this info. Of greater concern is that, despite 3 months of pursuing the Onkaparinga Council re: their decision on the eventual re-location of the Anchor I’m still no wiser. Last I heard was that there would be public consultation as to the final placement and, in the meantime, it was being stored/cared for by the folks/owners of the Moana Caravan Park. Unable to get a phone/ or email response recently from the “Project Manager” I emailed the Mayor of Onkaparinga Council. She quickly responded saying that the named gentleman has now left the Council’s employ and she will follow up on my query. I’m terrified that, like some other national treasures, it may become lost/ misplaced and would appreciate you also doing some follow up for clearly you also see the immense value of this object. Many thanks again Dr Reid, Catherine. Richard’s on the case now Catherine 🙂 He was so delighted to have this anchor in the “Not Just Ned” collection and to have it restored to its former glory. it along with all the other wonderful treasures from around the country benefited from the restoration work by the NMA I know you very much appreciate the history being preserved. It was wonderful to see the story of the Irish in this way. Oh yes… we’re all so so grateful to Dr Reid and I’d like to have his foresight, and work, recorded on a plaque when it finally goes back on display. 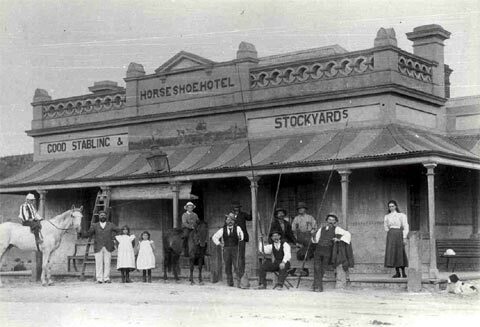 It’s easy to see why so many were concerned that the Anchor would never be returned becase the “National Archives” had, not long before, downgraded the South Australian Branch and many of our precious records re-located in the Eastern States. So, if we want to see the originals it now means a lengthy trip across the continent 😦 Believe this also happened up there in the Northern Territory? Hello Catherine, we hold the current contract to manage the Moana Beach Tourist Park on behalf of the City Of Onkaparinga. We respect and appreciate the history of the Nashwauk Anchor and were very pleased to see it taken to Canberra (at great cost to the National Museum), and treated to help with the future preservation of it’s state. Over the years Management of the Park have cared for the anchor by removing graffiti, preventing rogue element from doing mischief and preventing children from climbing over it. 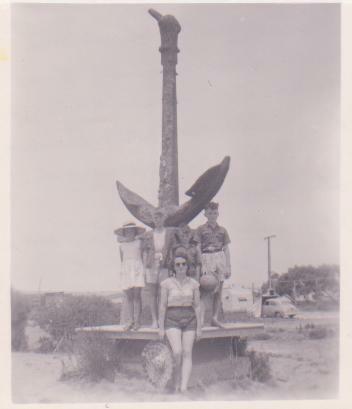 Please consider that there is many years of history at the Park, and generations of guests have taken photos of the anchor as part of their holiday experience. The anchor has a significant role in their childhood memories. We want the same thing for the Nashwauk Anchor that you do, a safe, well lit and sheltered location that anyone can visit. I hope to be able to suggest an alternative site to the 3 that have been proposed, that would be a solution to all the issues that have been raised.